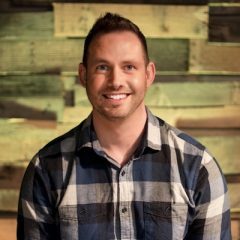 Matt possesses a strong background in worship leadership, most recently serving at Passion Community Church (PCC). He coordinates all things worship at Effort Church. Whether you find him leading the band on Sunday morning or out and about during the week, Matt finds no greater joy than leading people to grow closer to Christ. Above all else, his personal mission is to share the love of Jesus Christ in a personal and applicable way. While his life was once defined by addiction and hardship, his life is now defined by the marvelous grace of God’s restoration and redemption.